How Could a Professor Make ‘The Case Against Education’? 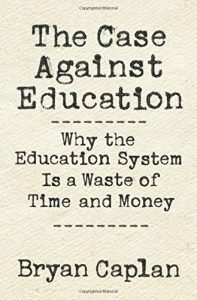 In his long-awaited book, George Mason University economist Bryan Caplan argues that “the education system is a waste of time and money.” He is emphatically not against people learning skills and knowledge but argues that our current system of education does a poor job of that, and at inordinate cost. Most critics of our education system…miss what I see as its supreme defect: there’s way too much education. Typical students burn thousands of hours studying material that neither raises their productivity nor enriches their lives. And of course, students can’t waste time without experts to show them how. Education signals three broad traits: intelligence, conscientiousness, and conformity. Employers of all kinds want workers with those traits. While it is possible for a person to acquire them in the absence of formal education, it’s almost impossible to let the rest of the world know that—and without such knowledge, few employers will take a chance on you. Suppose you try to signal your employability in some way other than getting educational credentials, say by dropping out of high school to prove the Riemann Hypothesis. Unfortunately, even if you can convince people that you’re a math genius, that actually signals something bad—your lack of conformity. That rarely works. Consequently, Americans have become so fixated on educational credentials that nearly everyone feels compelled to play the expensive sheepskin game, where they get a credential to signal the skills they already have. Going straight for the jugular vein of the human capital theorists, Caplan argues that most students derive scant long-term benefit from their schooling, including college. He cites a mass of evidence showing that most students retain little knowledge or skills they were ostensibly taught. Literacy, numeracy, scientific method, reasoning—student achievement is remarkably poor in all. What students appear to learn most effectively are the things they work with steadily, such as statistics for those who are in quantitative fields—which is pretty much the same as learning work skills on the job. Caplan maintains that most people would be better off if they didn’t have to go through years and years of formal education just to signal their readiness to begin learning what they really need to know. Here I will add an illustration to bolster Caplan’s case, namely law school. As most lawyers will attest, the knowledge they use in their work is rarely anything they recall from law school (see this piece by Hans Bader). Rather, it was learned on the job. But they are not allowed to just apprentice into law firms any longer; first, they must go through college and then law school. That entails huge social costs that don’t bring about any greater legal competence but do drive up the fees lawyers must charge. The signaling-to-human-capital ratio in legal education is probably around 99 to 1. Most of what schools teach has no value in the market. Students fail to learn most of what they’re taught…When you mention these awkward facts, educators speak to you of miracles: studying anything makes you better at everything. Never mind the educational psychologists’ century of research exposing these so-called miracles as soothing myths. And finally, there are the last lines of defense. Education (particularly college) is supposed to have great social benefits in general because graduates have lower unemployment, better health, are more law-abiding, are more civically engaged, and so on. Caplan easily overcomes those defenses. The power of educational signaling has brought about an arms race in credentials. They are the “seals of approval” that open doors for people. As those seals have proliferated, Americans have had to devote more and more of their time and wealth to get them. The size and cost of our education sector, therefore, keeps growing, consuming resources that would be better used elsewhere. More importantly, though, the great belief in education stems from what Caplan calls “social desirability bias.” Claims about the wonderful results of formal education create a pleasant glow inside most Americans. Few citizens and almost no politicians will suggest that increased educational spending might be wasteful. The educational establishment has been taking full advantage of that for many decades. Will anything be done to arrest our education juggernaut? Caplan is not optimistic. The combination of social desirability bias and the education establishment’s lobbying power is an almost irresistible force. Caplan believes that we would be far better off if we had kept school and state separate, but there’s no prospect of that now. Online education, he argues, will at most have a small marginal impact on our overinvestment in education. The best thing we might actually do is to shift away from pushing students into college and instead offer more vocational training and opportunities for people to work earlier in life. Ultimately, the debate is between two kinds of vocational education. ‘Traditionalists’ want to train everyone for long-shot, prestigious careers like author, historian, political scientist, translator, physicist, and mathematician. So-called vocationalists want to train students for careers they’re likely to enter. 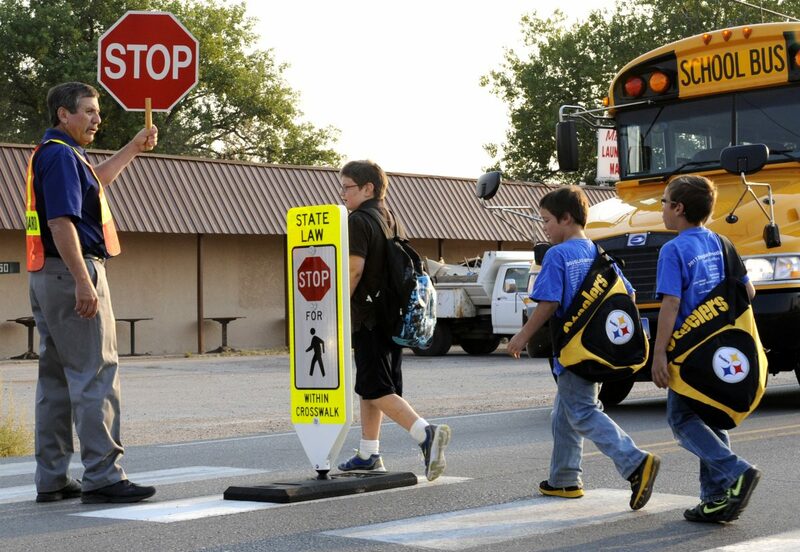 The traditional route is painless for educators: teach whatever your teachers taught you. The vocational route is painful for educators…To prepare youths for plausible futures, educators must feel the pain. That’s correct. We should stop putting the former kind of training on a pedestal while denigrating the latter. And if people had to pay for whatever kind of education they thought best, no doubt they would value it far more than the education they are mostly given today. Compare the way Eliza Doolittle approached her paid-for English lessons in My Fair Lady with the indifference so many American students show their nearly free educational credentialing. The Case Against Education is a book that America has needed for a long time. If we ever reach a turning point where most of us reject the idea that government should mandate and subsidize certain kinds of education, Bryan Caplan will have a lot to do with it.